Collection of the most creative modern chairs and unusual chair designs that will look great in any living room or office. 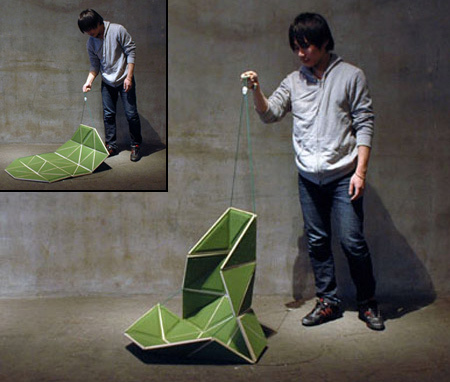 Innovative chair by Japanese designer Hiroyuki Morita transforms into a floor mat when not in use. 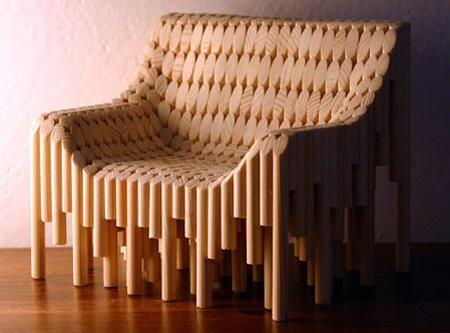 Beautiful and stylish wooden chair designed by Vadim Kibardin. 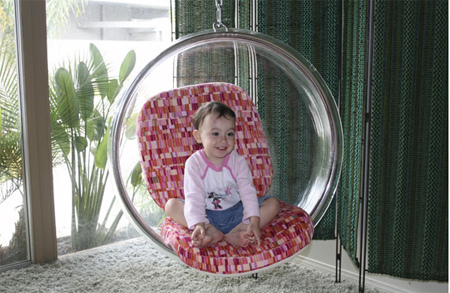 Aarnio Bubble chair was designed to hang from your ceiling. 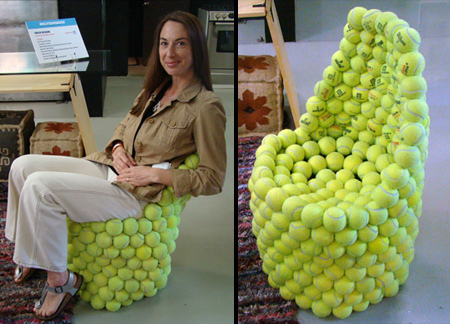 Creative chair made from recycled tennis balls by Hugh Hayden. 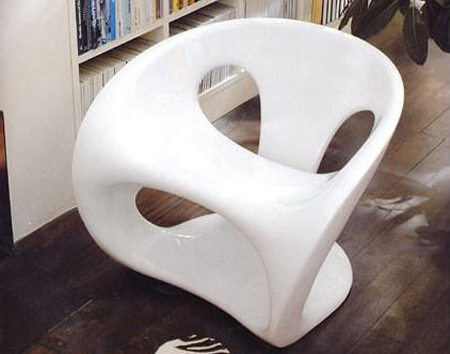 Futuristic bio-energetic chair handmade from lacquered fiberglass. 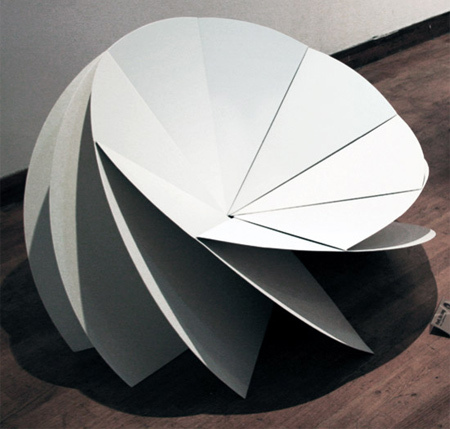 Unique chairs made out of one square sheet of synthetic felt by Belgian designers James Van Vossel and Tom de Vrieze. 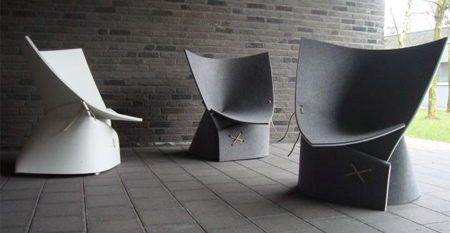 Creative hoodie inspired chair comes equipped with its own hood. Modern chair by Gaëtan Van de Wyer doubles as an LED lamp. 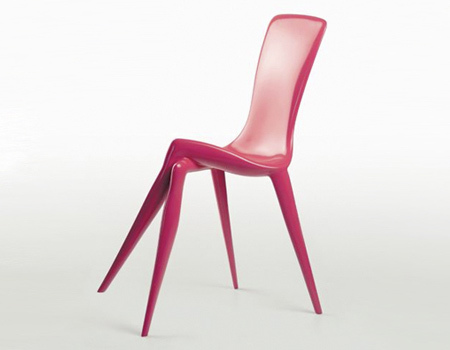 Stylish chair by Vladimir Tsesler will surely impress your guests. 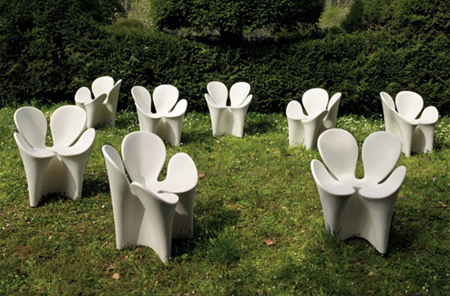 Beautiful clover inspired chair designed by Ron Arad for Driade. Unique chair created from eight folded steel plates by Eerang Park. 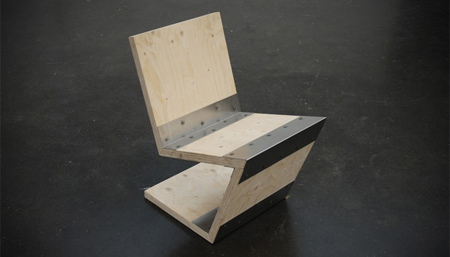 Modern chair by Netherlands designer Joris Spiertz is constructed out of plywood and metal joints. Unusual chair lounge designed by Michael L. Wendel. 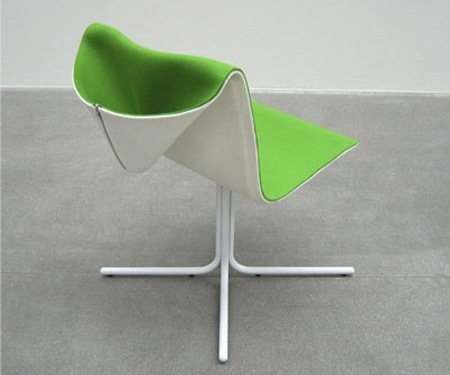 Creative chair designed by Lothar Windels from Munich, Germany. 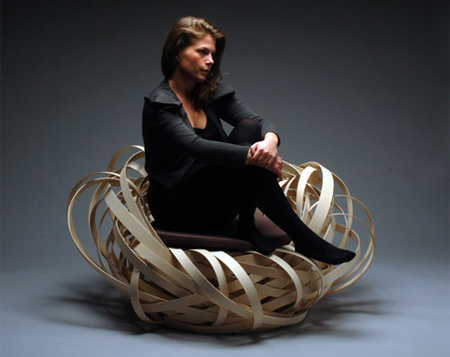 Stylish modern chair by Nina Bruun was inspired by a bird’s nest. I bet that felt chair (second to last one) weighs a ton. Same with the deep forest one made of solid turnings. That stoel chair, on the other hand. The back of my knees hurts just looking at it. bulb is so nice ! …What is a “Bio-Energetic” chair exactly ? Sounds like marketing babble to me..
Love the wicker one with the integrated lamp. It looks stylish, practical and comfortable. 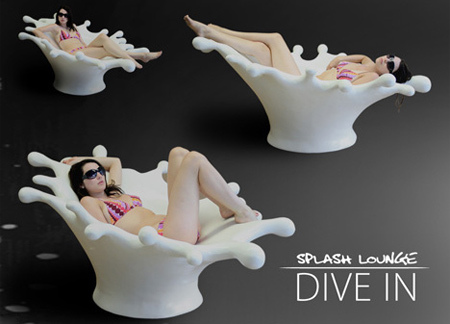 The splash chair really looks comfy…..I want one…!!! Jeez…the cross legged chair is truly creative!! Love the FF1 Chairs too, it’s great to see such creativity! 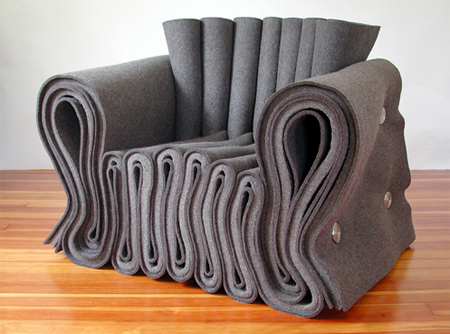 These are awesome… I really like the felt chair. 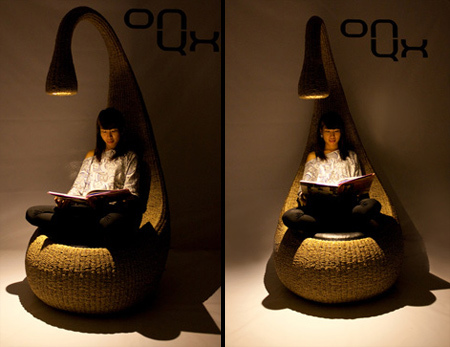 I would go with the bulb chair, it looks very organic, although it seems rather tall. The felt one is a close second – I could see myself making something like that. The deep forest chair looks pleasing, and I don’t think that it would be that heavy if made from pine or bamboo. I would be annoying to have little diamond shapes on the back of your legs through. i love the hoodie one, but it doesn work if the person is taller or shorter than your average person so…. Amazing to creativity all are really good good good !!! the most practical is the Bulb Chair!!! Imagine losing your remote in the Felt Chair. Bulb chair is my favorite!